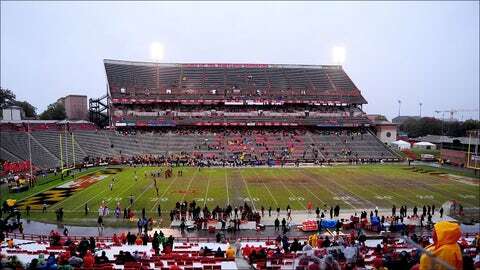 Byrd Stadium will be the site of the Maryland-Penn State game this weekend. Maryland football will take the field this Saturday against Penn State wearing an alternate uniform designed to be a throwback to what the Terrapins wore in 1961. Why 1961? Because that is the first season Maryland beat Penn State, the Terps’ opponent for Saturday. On Monday the athletics department released images of the jerseys, which will be red with white stripes and numbers. The team will also wear new helmets, gloves and pants.